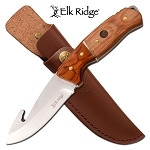 3 piece fixed blade hunting knife set for real hunters looking to catch their food while on their outdoor adventure and camping trip. 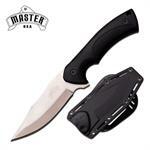 A real hunter will never leave for a hunt without this 3 piece fixed blade hunting knife set. 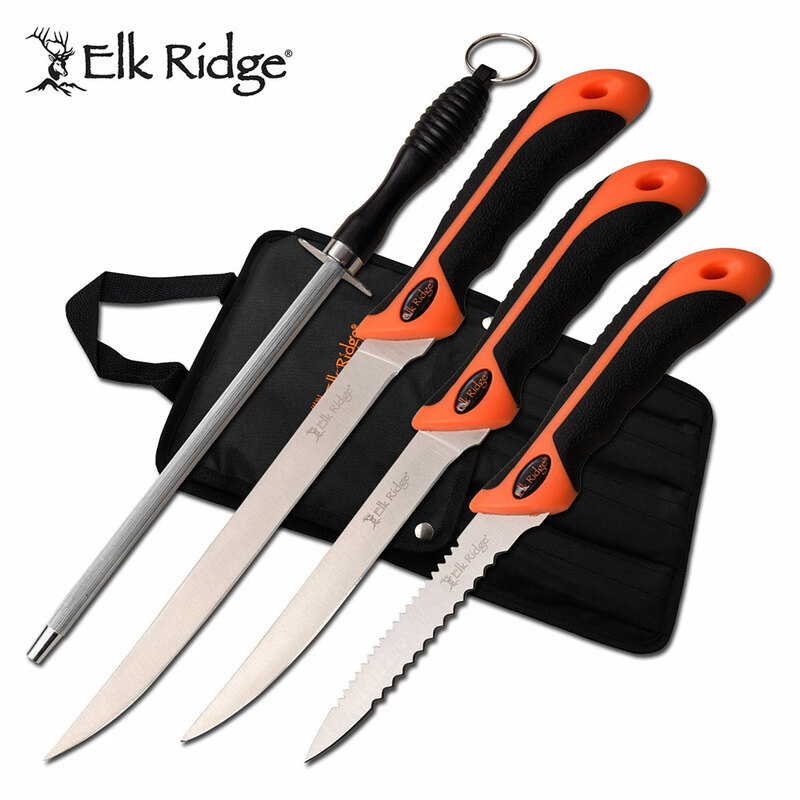 If you intend to catch your food, cut it, cook it and eat it while you are in the wild you must have this hunting knife set in your backpack. This knife set comes with a sharpening rod so it's real easy to sharp these knives as sharp as you may like for cutting and slicing the hunt. 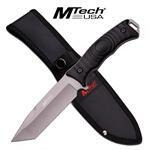 All 3 fillet hunting knives and the sharpening rod is neatly packed in nylon case.